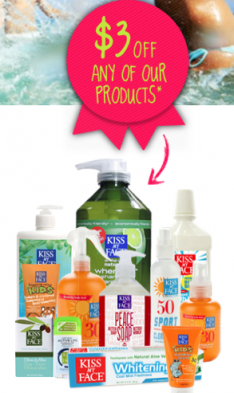 'Like' Kiss My Face on Facebook to print a coupon for $3 off Any Kiss My Face Product! This will get you some great items for much less than they normally go for. I LOVE their lip balm and their Peaches and Creme Moisturizer :) This is very high value so definitely a good one to print!